Automation is the new skillset that network engineers need to pick up. Much like sysadmins have had to learn how to use new tools like Chef and Puppet, network engineers are learning that they just can't do things manually anymore. 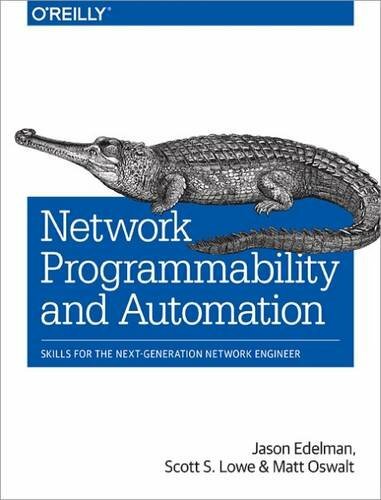 With examples in each chapter, this practical book provides you with baseline skills in network programmability and automation, using a range of technologies including Linux, Python, JSON, and XML. No previous knowledge of software development, programming, automation, or DevOps is required.